Sichynsky, Myroslav [Січинський, Мирослав; Sičyns’kyj], b 11 October 1886 in Chernykhivtsi, Zbarazh county, Galicia, d 16 March 1979 in Westland, Michigan. 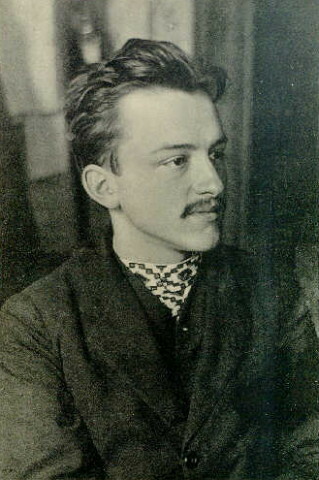 Civic and political activist; son of Rev Mykola Sichynsky. On 12 April 1908 he assassinated the viceroy of Galicia, Andrzej Potocki, in protest against Polish violence and fraud in the 1908 elections. After his death sentence was commuted to life imprisonment by the Austrian emperor, he escaped (1911) and eventually (1915) was accepted as a political refugee by the United States. He then immersed himself in Ukrainian-American community activity as a founder of the Ukrainian Federation of the Socialist Party of America and editor, between 1914 and 1917, of its weeklies Robitnyk (1914–20) and Narod (1917). As a leading activist of the Federation of Ukrainians in the United States, he was appointed editor of its Ukraïns’ka hazeta. In 1920 he helped found the Oborona Ukrainy organization and edited its paper Ukraïns’ka hromada (USA). He was president of the Ukrainian Fraternal Association in 1933–41. During the 1940s Sichynsky adopted an increasingly pro-Soviet stance, which helped precipitate the crisis that led to Oborona Ukrainy’s dissolution. His recollections were published by Mykyta Shapoval in 1928.